We went to my husband Shawn's cousin Scott 's daughter's wedding on Saturday. It was a very pretty Autumn themed wedding in the hills of Southern Ohio. 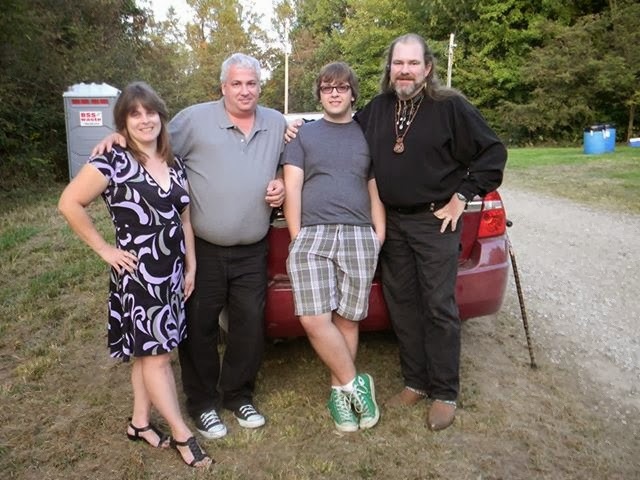 Me, Shawn, Brandon, and cousin Scott.